We thank you infinitely for your good comments, it was a pleasure for us to assist you in Hacienda El Carmen. We hope soon to return and live a new but equally pleasant experience. Thank you for letting us know that we achieve our service, warmth and kindness goals. Again, I reiterate that we are following your orders and awaiting your visit soon! This place was a great vacation spot. I spent four nights at the hacienda and was very happy with the experience. The hacienda is magical and well done. The grounds are manicured and the spa is awesome. The restaurant serves traditional Mexican fare with a twist. I have nothing bad to say. I highly recommend. At Hacienda El Carmen we are very pleased to know that I really enjoy staying with us. We hope you can return soon and enjoy the magic that this place projects. The staff has already received your congratulations, we will be waiting for your soon return. Perfect Place for a Wedding; Beautiful grounds! 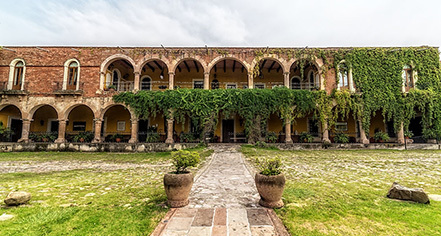 We spent 3 nights/4 days at the Hacienda El Carmen a couple weeks ago and, never having been to a working hacienda, we were amazed at the beauty. It currently has about 75 acres with lots of farm animals roaming free as well as a pond. There are 29 rooms located throughout the property and they are all different - decorated with unique antiques. The staff was incredibly friendly and eager to assist. Most of the food served from the restaurant is grown on the property and was absolutely delicious. Every time you turn around, there is another magical corner - a quiet space to relax or a quaint corner for an intimate wedding. There is a several acre area with an ancient aqueduct, perfect for large weddings. There is also an old grain storage building that has been transformed into a one of a kind reception area. The only downfall is the 1 hour ride from the airport, but that also adds to the feel of being remote and on a true hacienda. You will never regret staying here! For Hacienda El Carmen is a pleasure to know that the people who visit us enjoy the kindness that nature gives us and know each magical space full of history, peace and tranquility, it is a place that goes back to the colonial era and you can live the experience of being a landowner. We told all the staff how pleasant your stay was, we are sure that your next visit will be the same or more pleasant. A truly wonderful experience with top notch accommodations. The grounds were meticulously manicured and the structures a thing to be seen. Only can it be appreciated by experiencing it. In addition the food was excellent, and priced right. Highly recommend El Carmen! It is a pleasure to know us so widely recommended by the experience he lived with us. 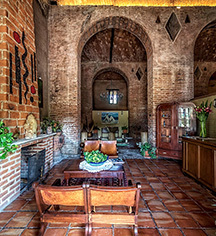 Hacienda el Carmen is one of the most beautiful and well-preserved haciendas we have ever visited. The grounds are beautiful, with geese and peacocks running around, a functioning aqueduct, a pool, horses and bicycles. There is an extensive bicycle path which passes very near to Hacienda el Carmen. The rooms are sumptuous, the food is delicious, and the staff is friendly and helpful. There is an extensive organic farm that is associated with the hacienda, and we highly recommend the one-hour tour. We appreciate your comments, all the staff of Hacienda El Carmen are very happy because your stay was very good.